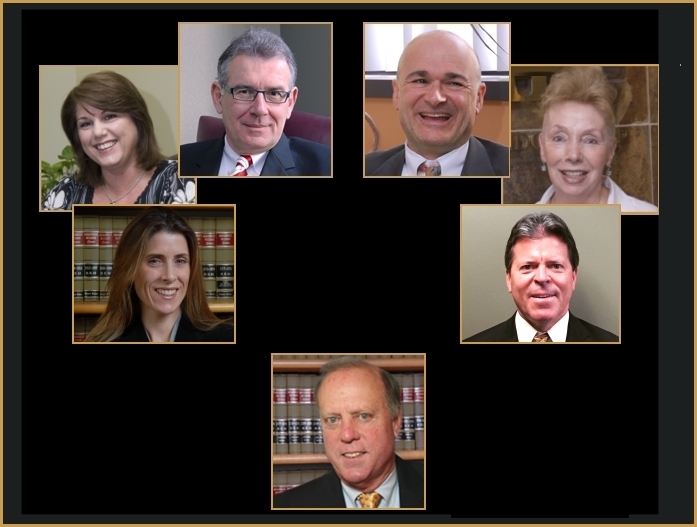 The attorneys and staff at Metaxas Brown Pidgeon bring an exceptional level of experience and expertise to protecting your interests and achieving successful legal outcomes that meet your specific needs. Anthony Metaxas is a senior partner at Metaxas Brown Pidgeon. Anthony concentrates his practice on litigation of corporate and partnership issues, contract disputes and trust and estate litigation. Anthony also counsels business clients in a number of other areas, including employment agreements containing non-competition covenants. Anthony acts as a mediator and arbitrator in business litigation disputes and equity matters pending in the Superior Court and Probate Court. 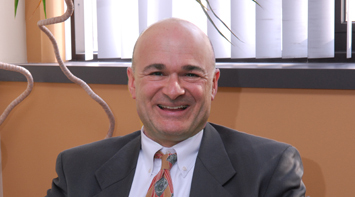 For over 15 years, he has been a conciliator in the mediation program of the Essex Superior Court. Following his law school graduation, Anthony served as an Assistant Federal Public Defender in the Western District of Missouri focusing on white-collar criminal defense. Represented the estate of a deceased partner in litigation involving buy-out provision of partnership agreement, which resulted in expansion of fiduciary standard in Massachusetts. Successfully handled numerous cases for businesses whose former employees have converted trade secrets and other confidential information for the purpose of engaging in unfair competition. Litigated several cases involving self-dealing on the part of fiduciaries and appropriate equitable relief and damages for such breaches of fiduciary duty. 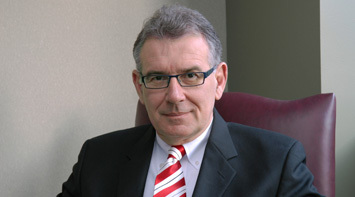 Rus Brown is a senior partner at Metaxas Brown Pidgeon. Rus has an extensive background in real estate that covers municipal permitting, construction, real estate financing, and all manner of real estate related litigation in the Superior Court and Land Court. For over fifteen years, Rus has concentrated his practice in the litigation of commercial and real estate disputes. He also provides counsel to clients on all matters of real estate including the licensing, permitting, developing and purchase or sale of realty. Prior to the merger with Metaxas Pidgeon, Rus was the managing partner of Brown & Brown, LLC in Manchester-by-the-Sea for over fifteen years. Prior to practicing law, Rus worked in the legal and financial industries in New York and then experienced success as a real estate developer in Massachusetts. Successfully litigated and obtained a multi million dollar commercial and employment dispute on behalf of a client. Successfully litigated and obtained a $800,000 settlement on behalf clients against an illegal debt collector for unfair debt collection practices. Successfully litigated and settled a securities fraud claim on behalf of a client resulting in the return of over $500,000.00 to the client. Larry Pidgeon, our beloved colleague and friend, died suddenly on October 25, 2008. We deeply mourn his loss. 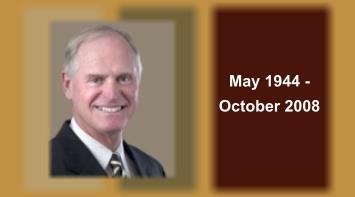 Those who knew Larry will never forget his grace, good cheer, and genuine regard for all with whom he came in contact. Those of us who worked with Larry every day feel his absence acutely. We invite you on this page to learn a little more about Larry. Use the links at right for more information on Larry's history, his memorial service, and the wonderful scholarship fund set up in his name by his friends and family. Follow the "From Friends and Family" link to read the comments of the many, many people from all parts of Larry's life who took the opportunity to remember him with eloquent words and full hearts. MANCHESTER-BY-THE-SEA - Lawrence Michael Pidgeon, the "G.B.," passed away unexpectedly at his home in Manchester, on Friday, Oct. 24, 2008. He was 64. He was born in Oswego, N.Y., and was the son of James C. Pidgeon, and Ruth (Snyder) Pidgeon. Larry graduated from Oswego Catholic High School in 1962, and played on four championship basketball teams. He graduated from St. Lawrence University, Canton, N.Y. in 1966, where he received his commission as a 2nd Lieutenant in the U.S. Army. Upon graduation from the University of Toledo Law School, he entered active duty and was a veteran of the Vietnam War. He was honorably discharged with the rank of Captain, and a Bronze Star. Returning to Oswego in 1972, he first clerked for Judge Ringland Murray, later went into the practice of law with Hosmer Culkin, and subsequently formed a partnership with James Eby, also in Oswego. Larry moved to the Boston area in 1978, opened a criminal law office in Salem, and practiced law for over 20 years with Metaxas, Norman & Pidgeon. He was a close friend, as well as a colleague, of Anthony (Tony) Metaxas, William (Bill) Norman and more recently John Colucci. Over the years, Metaxas Norman & Pidgeon hired many younger attorneys and paralegals for whom Larry was an important mentor and friend. He was a member of the Essex County Club, an avid sports fan, tennis player, basketball hoopster, and recent golf enthusiast. He served on the board of the Manchester Community Center, North Shore Veterans Counseling, and was a member of the Special Committee of North Shore Hospice. He is survived by his brothers, John S. (Nancy) Pidgeon of Oswego, James Pidgeon (Susan) of Cranford, N.J.; his former wife, Sheila P. Hill of Manchester; a nephew, John C. Pidgeon, and nieces Kathryn McCrobie, Ann Callender and Amy Pidgeon. On October 30, 2008 Larry Pidgeon's family and friends gathered at the Essex County Club for a celebration of his life. The loving and often bitter-sweet tribute was the kind of send-off we think Larry would have liked  hundreds of his friends, family members, and colleagues recounting wonderful Larry stories and raising a glass to his memory. The abundance of love and respect people felt for Larry was evident on Thursday, fixing in our memories and our hearts the Larry people called the "golden boy," a "prince," a "gentleman and gentle man," and for many, many people, "my best friend." The event also gave the phrase "happy as Larry" new and special meaning for all of us. Thanks to everyone who attended. We will miss Larry for a very long time to come but take comfort in Thursday's testament to how broadly our grief and our fond memories of Larry are shared. A memorial scholarship has been established in Larry's name at St. Lawrence University. This scholarship will help deserving students from Oswego, New York and Manchester-by-the-Sea, Massachusetts to attend Larry's alma mater. Information on applying for this scholarship will be available in the near future. For more information, please contact Anne at or 315-229-5506. Member, Boston American Inn of Court. Christopher W. Parker counsels companies and individuals in connection with a wide range of business matters. In addition, he has extensive experience in bankruptcy and commercial law, including the representation of debtors, creditors committees, trustees, and secured and unsecured creditors in Chapter 11 reorganizations and Chapter 7 liquidations. He represents third parties acquiring companies or assets in Section 363 bankruptcy sales. He also represents debtors and creditors in Assignments for the Benefit of Creditors, Trust Mortgages, and other proceedings under state law. He also has broad experience in counseling clients in connection with complicated commercial finance transactions and Uniform Commercial Code matters. 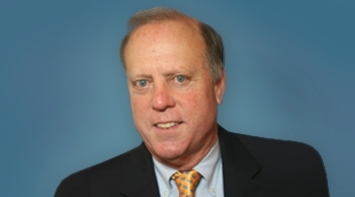 He has represented clients in commercial litigation in State and federal court, as well as Mediations, Arbitrations, and other forms of alternative dispute resolution. In re East Hill Woods; and In re Northeast Recycling Associates Corporation. Represented the Creditors Committee in Chapter 11 Proceedings In re Robins and In re Halmar Distributions. In re Newbury Caf�, Inc. Represented the Official Committee of Equity Security Holders in Chapter 11 Proceedings In re Cambridge Biotech Corp. In re White; and In re Specialty Restaurants, Inc.
Mr. Parker is the author of a number of articles, and has lectured on various topics of business and bankruptcy law for the American Bar Association, the Massachusetts Bar Association and Massachusetts Continuing Legal Education. Keith Sachs, a partner at Metaxas Brown Pidgeon, focuses his practice on commercial, employment, construction, and real-estate litigation matters. Keith also represents some of the nation�s largest motor carriers before the Federal Motor Carrier Safety Administration. In addition to regularly prosecuting and defending claims in State and Federal court, Keith has extensive experience in disposing of cases via mediation or arbitration, having served in the past as an arbitrator. Keith has vast experience in Superior Court motion practice and has successfully handled interlocutory appeals to the Massachusetts Appeals Court. Before joining Metaxas Brown Pidgeon, Keith gained extensive experience in all aspects of civil litigation while being associated with the law firms of Melick, Porter & Shea, LLP, and then Boyle, Morrissey & Campo, P.C., in downtown Boston. Prior to beginning his law practice, Keith served as a law clerk to the Justices of the Massachusetts Superior Court (1996-1997). Obtained jury verdict for homeowner against general contractor for violation of M.G.L. c. 142A, the Home Improvement Contractor Statute. Successfully argued a post-trial motion, which resulted in an $89,000 attorneys fee award in addition to the damages award. Obtained jury verdicts for real estate broker in case involving allegations of misrepresentation and failure to communicate offers to purchase, and for medical device manufacturer in case alleging defect and breach of warranty in Nebulizer. Successful in obtaining jury verdict in favor of golf driving range, where plaintiff, who suffered severe facial injury, alleged golf range failed to supervise unaccompanied minors. In representing a condominium unit owners association, successfully argued a motion for summary judgment in a case alleging defamation. Acquired summary judgment on behalf of power plant owner by illustrating that client did not control means and methods of construction project on its site. Successful in achieving summary judgment in favor of insurance broker in multi-million dollar exposure case involving allegations of failing to procure coverage and failing to monitor actions of premium finance company. Represented successor corporation and achieved summary judgment for client by exhibiting that it did not take on contingent liabilities of predecessor corporation. Served as a City Councilor at Large in Scott's hometown of Beverly, Massachusetts. 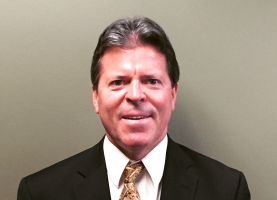 Scott Dullea, has experience in both civil and criminal litigation. Scott began his legal career working for famed "civil action" attorney Jan Schlichtmann. While working with Schlichtmann, Attorney Dullea developed his complex civil litigation skills and worked on many high profile cases. Subsequently, Scott joined the Essex County District Attorney's office as a prosecutor. There he supervised the prosecution of all cases involving domestic violence in Lynn District Court and prosecuted all cases in the Lynn Gun Court. Scott has participated in over 100 trials and hundreds of motions. During law school, Scott interned for the United States Attorney's Office in Boston and for Judge David Lowy in Salem Superior Court. Scott concentrates his practice on criminal defense and complex civil litigation. He has litigated and settled multiple class actions involving consumer protection. 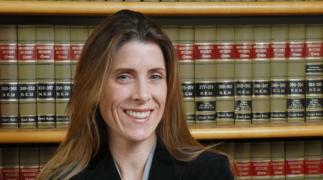 Bailey Buchanan focuses her practice on a variety of civil matters including torts and commercial, real estate, and employment disputes. Bailey's litigation work has also included motion practice, negotiation of settlements for clients, and representation of clients at mediations. Prior to law school, worked in the independent power business in the United States and India. Bailey managed the government licensing and permitting process, and initiated land acquisition for one of the first limited-recourse private power projects in India during deregulation of India's financial and fuel sectors and privatization of its power industry. Also worked as a developer in the water industry in the U.S. and as a consultant on western business practices to the leading private hospital company in India. Member, New England Muslim Bar Association. 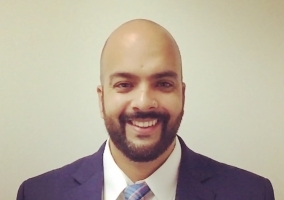 Shaun Khan is a civil litigator with a diverse practice primarily focused on complex business, employment discrimination and trust/estate litigation. Shaun has successfully represented both local and international clients throughout Massachusetts in state and federal trial courts, appellate courts, administrative proceedings and mediation. Shaun takes a keen interest in representing clients who have been unlawfully discriminated against by their employer simply because of their religion, national origin or race. 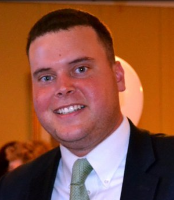 Shaun has been selected as a Massachusetts "Rising Star" by New England �Super Lawyers� Magazine and Boston Magazine in 2015 and 2016, a distinction that only 2.5% of attorneys in Massachusetts receive. Shaun is also currently the President of the New England Muslim Bar Association and Co-Chair of the Foreign Lawyers Association of the International Law Section of the Boston Bar Association. Successfully represented international client, defeating summary judgment, in complex trust/estate matter that ultimately resolved in favorable settlement. Represented multiple clients in all stages of litigation against billion and million dollar corporations for unlawful employment discrimination that resulted in favorable outcomes. Represented commercial gas station owner on a breach of contract claim that resulted in a successful bench trial verdict. Successfully represented 50% owner of closely held corporation during a three-week jury trial. Presenter, Harvard University, Boston University, Boston College, Suffolk and Fletcher Law Schools incoming LL.M class, September, 2011-2014. Moderator, "Doing Business in Saudi Arabia" � Boston Bar Association, October, 2012. Moderator, "Massachusetts Bar Exam Rule Change for Foreign Lawyers" � Boston Bar Association, March, 2014. John Moorman has almost thirty years� experience representing both individuals and corporations in a wide array of legal matters. While John focuses his practice mostly on general civil litigation, his primary areas of practice are domestic, personal injury, business litigation and collections, as well as criminal matters. He has extensive experience in representing clients in all District, Superior and Probate Courts of Massachusetts, in both jury and non-jury related matters. John was also recently chosen by his peers as a Massachusetts Super Lawyer, an honor bestowed on only the top 5% of the lawyers in Massachusetts. John has been involved in several complex cases, including successfully representing a family of one of the victims of 9/11. In that matter he dealt extensively with the Victim�s Compensation Fund and obtained an award in excess of $3 million for the family. He has also been involved with several wrongful death cases, achieving successful results on behalf of the victims and families involved. John joined the litigation department of Metaxas Brown Pidgeon in September, 2014. 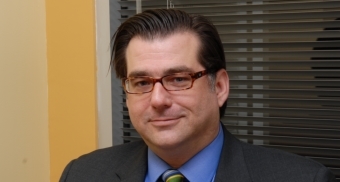 Previously, he worked for seven years at Rudolph Friedmann LLP in Boston. Prior to joining Rudolph Friedmann, John was a shareholder in his own private practice for thirteen years in Beverly, MA. When John is not practicing law, he enjoys spending time with his family, golfing, and participating in other outdoor activities. Negotiated one of the first successful settlements, in excess of $3 million dollars, for the family of one of the 911 victims dealing primarily with Kenneth Feinberg, Esq. and the Victim�s Compensation Fund. John�s settlement package became one of the templates used for future settlement negotiations. *Christopher W. Parker, Esq. is the founder of The Law Offices of Christopher W. Parker, LLC which is independent from and professionally associated with Metaxas Brown Pidgeon LLP in accordance with rules established by the Supreme Judicial Court of Massachusetts.